Civilizations and empires are piled on top of each other like strata in Istanbul. The city on the European side is built on what is known as the 'Seven Hills' which are very steep so, in terms of urban planning, it is quite complex, but the diversity of the transportation system really contributes to the city’s over-all high level of functionality. When acclimatizing to the different forms of transport in the Istanbul transit structure it is best to start with just the highlights. Zeytinburnu — connects to the T1 tram line for Fatih, Sultanahmet, Sirkeci, Eminönü, Karaköy or Tophane areas. Otogar — the main bus station. Yenikapı — connection to the M2 for Taksim, Galata, Cihangir, Nişantaşı, and Mecediyeköy destinations. Yenikapi — this station is intended to be the hub of transport in Istanbul. The M4 line is on the Anatolian (Asian) side and it runs all the way to the Pendik high speed trains and ferries. The European side and the Asian side are connected under the Bosphorus via the Marmaray. The Marmaray train from Yenikapi or Sirkeci goes to Usküdar and the Ayrilik Cesmesi stop where transfers are available for the M4. The Tramways have operated in Istanbul since 1913. T1 – Kabataş-Bağcılar Tramway Line. This line has many stations and it is heavily used. This funicular goes up and down from the pedestrian only street Istiklal Caddesi. Tünel operates from 7 a.m. to 10:45 p.m. The ferries take you across the Marmara which is incredibly beautiful in terms of the view and street musicians (hand selected by the city) play only traditional Turkish music on the ferries which is very enjoyable. Also, it is a beautiful experience just riding on the water across the strait. The Ferries go back and forth from the European side to the Anatolian (Asian) side. The main piers on the European side are Eminonu, Besiktas and on the Asian side Uskudar and Kadikoy. 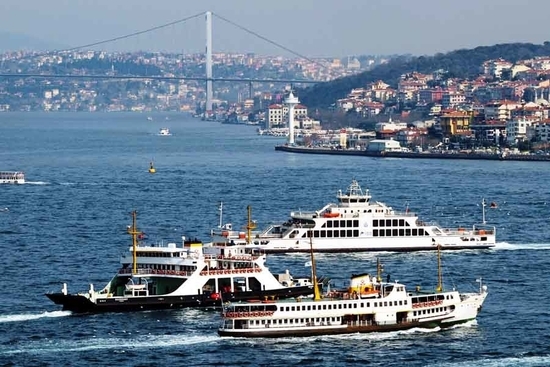 Ferries depart from Eminönü and Kadıköy to the four Princes Islands for 5TL . 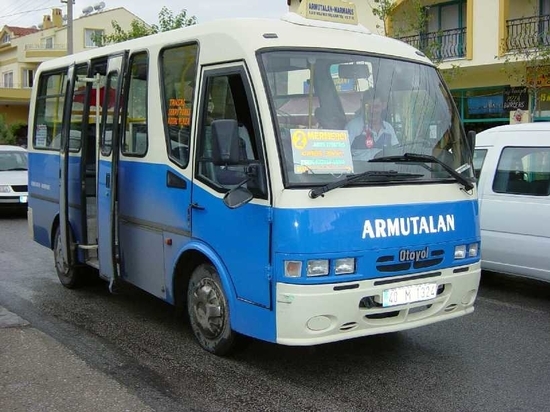 The subway closes just like in any other cities, The Metro lines operate between 06:00 and 24:00 so outside of these hours there are minibuses or Dolmuş. The buses cost between 3TL - 5TL and shuttle from one specific area to another on a predetermined route and it is possible to be let off along the route. There are many routes - Taksim Meydanı (Taksim Sq) to Beşiktaş, Taksim Meydanı (Taksim Sq) to Kadıköy, on and on. Dolmuş are easy to spot and are situated in different hubs around the city. These shared taxis operate 24/7 and they depart when they are full and the capacity is 8 passengers. Just like any other major metropolis Istanbul has a magnetic card as a public transportation boarding pass. The Istanbul Kart makes it possible to travel seamlessly across all modes of transport, bus, metro, train, light rail, ferries, trams, funicular. The card is pre-paid and easily rechargeable. The Istanbul Kart can be purchased for a minimal cost at major transit stops such as Sultanahmet, Eminönü and of course the airport. Passengers can reload the Istanbul Kart for more credits with designated machines at transit stations. 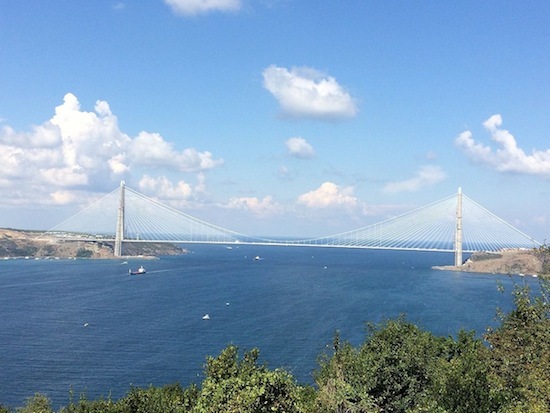 A new 3rd bridge named "Yavuz Sultan Selim" that creates a link across the Bosphorus Strait dividing Asian and European sides of the city has just been completed. This megastructure is the world's broadest suspension bridge at 58.4 metres (192 feet) wide. The bridge is a key component that needed to be in place for the functioning of the New Airport which is also planned as an airport city. In autumn 2018 the airport city will open and take over all commercial flight operations from sister airport Atatürk, named "İstanbul Yeni Havalimanı" this is the world’s biggest airport. The area is 35km away from the centre of Istanbul on the European side of the city. Priced at $11 bn. construction is expected to continue through 2028. The airport will be fully connected by high-speed train, metro, bus and car will be integrated with the city's transportation structure. The New Airport is an Envision-certified project further developing sustainability culture in Turkey. This Airport is a key element in the mega infrastructure projects package, which also includes Kanal Istanbul which connects the Black Sea to the Sea of Marmara and the new bridge. Huge new advancements for Istanbul, Turkey are well into development.